The Healing Codes are perhaps the best way to deal with forgiveness. 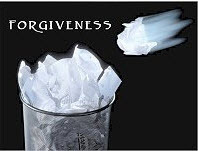 Day 1 of the Healing Codes is for Unforgiveness which in our opinion is the most important thing to deal with. People find forgiving others is actually not that hard. It is forgiving themselves for what they might have done, wished they had done, should have done or didn’t do or whatevre that is the most difficult. Forgiving oneself is perhaps the most important thing to do on your healing journey. The power you have over anyone who hurts you is the power of forgiveness. Forgiving sets both sides free from the negative bond that exists between you. As long as you do not forgive someone you take them with you, or worse, carry them like an albatross around your neck. Bitterness does more damage to the one who carries it, than the one toward whom it is directed. Constantly fighting for your ‘rights’ is a no-win proposition and a source of depression. Think: have you ever been wronged? Have there been times you have not gotten everything you deserved? Sure! We live in an imperfect world, and as long as we do we will not see a time when everything we do is justly rewarded. Even when truth is on your side you may never be able to right all your wrongs. Continually fighting for your rights can… make you downright resentful. Such destructive emotions sap your strength. And besides, when you are focusing on your rights you are usually looking backwards, not forwards. You cannot make progress when you are facing the wrong way. Only when you turn your focus in the right direction and forgive, can you move ahead. That does not mean you do not recognize the wrongs; it means you choose to forgive and focus on what you can control – your attitude and your responses. Doing that increases your energy, builds your potential and improves your prospects.